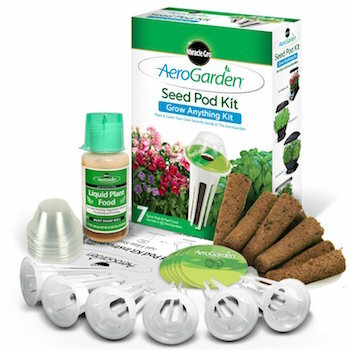 It can be hard to decide which of the Aerogarden seed kits you want when you first start. 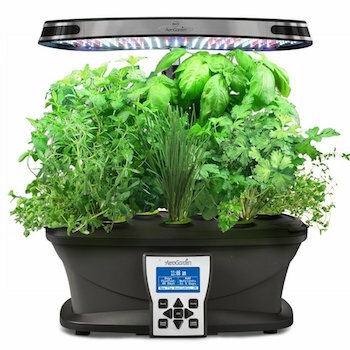 I knew I wanted the herb kit, because I intended to use it to demonstrate how to grow herbs indoors for my website. 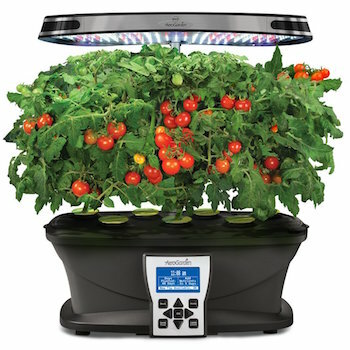 Most times you buy the unit with a starter kit - the one you want will influence which Aerogarden you buy. 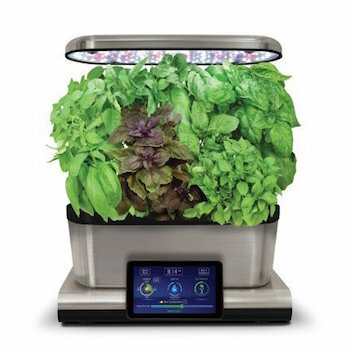 What happens though, if you're not too worried about what you grow, this is your second go at indoor gardening with the Aerogrow or maybe you're lucky enough to have room for more than one Aerogarden? You then have a choice of other kits, seed starter kit or even 'blanks' where you put your own seed in them. There are a lot! 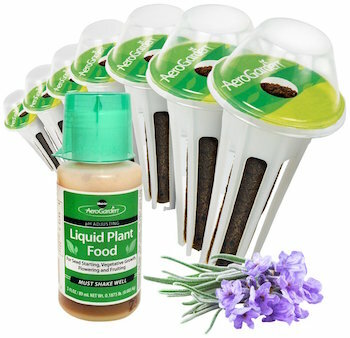 Herbs, vegetables, flowers as well as 'blanks' and seed starter kits. I've put them over three pages as there would be far too many photographs which would take too long to load. 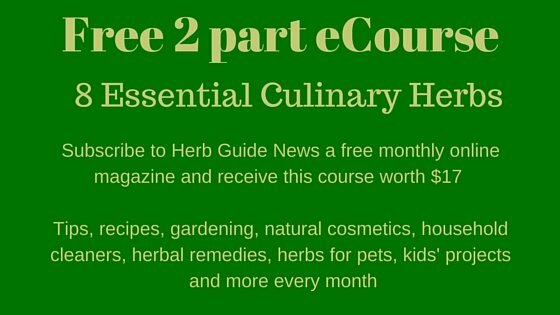 The first kit most people try is the Gourmet Herb Kit. 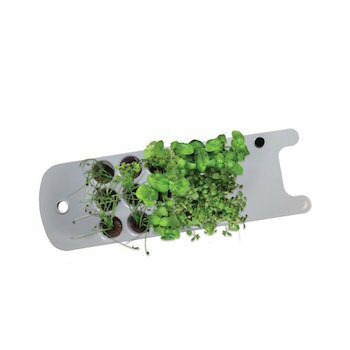 Most Aerogardens come with this kit which will have 3 to 9 pods, depending on the model you choose. The herbs are Genovese Basil, Thai Basil, Curly Parsley, Cilantro, Chive, Mint and Dill. The 6 pod doesn't have Chives. 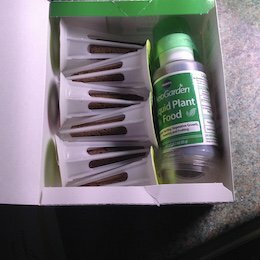 It comes with an instruction leaflet, the pre-seeded pods with grow domes and the nutrient. 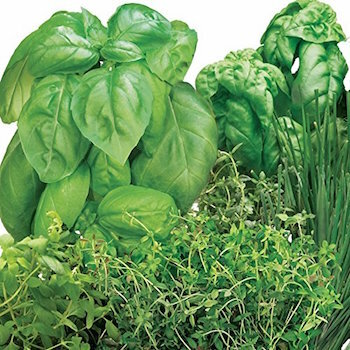 The Italian Herb Kit has Genovese Basil, Italian Parsley, Mint, Oregano, Savory, Thyme and Chives. Again, it's a complete kit with nutrient and instructions. If you only have a six pod, then you can keep one of the pods back and plant it later - they last for two to three years. Or you could bring one of the larger herbs out and grow it in soil and put the seventh pod in to start. Basil will germinate in a few days. Purely basil in this seed kit - 6 different types - Genovese, Thai, Napolitano, Marseille, Lemon and Globe. 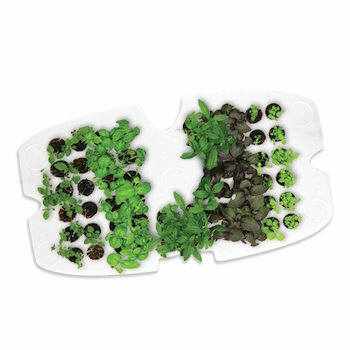 Pizza Lovers Herb Kit contains basil, oregano, thyme and chives - what else could it have? These herbs would be great for cooking Italian recipes of any kinds - pastas, pestos as well. The Herbal Tea Kit contains 2 Lemon Balm, 2 Lemon Mint, 2 Peppermint and one Lavender. I think it would be lovely to have this for a few months and grow the herbs on to harvest as much as possible and dry them to make teas all year. Wow! 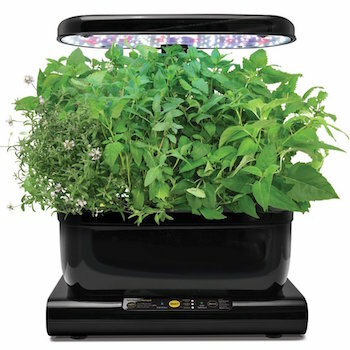 An Aerogarden full of lavender - can you imagine how divine that would smell? An abundance of fresh young leaves to dry would be lovely, but in practice, the reviews say different. Most people are disappointed with the kit and report failed pods as well as slow growth. The general consensus, and I must say, I agree would be to start the seed off and grow on in pots indoors or out. So perhaps, this is one to save your money on. 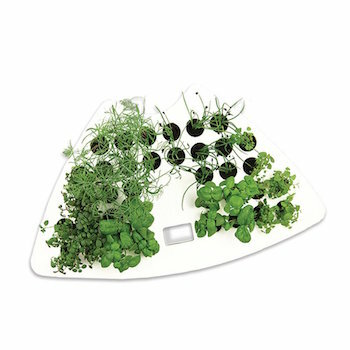 This Grow Anything Kit is a good idea if you want a different mixture of herbs, salad, vegetables or flowers. It has the sphagnum moss grow sponges, the pods, cardboard covers, domes, nutrient and an instruction leaflet - everything you need except the seeds which you will have to buy yourself. Keep your seeds in a polythene bag or box in your refrigerator - they will last for years so long as they're dry and cool, well beyond their recommended use by date. 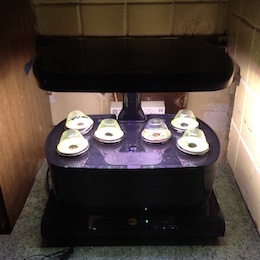 One advantage with the Aerogarden is that you can use 'old' seeds and if they don't germinate quickly, then you're able to just buy another packet and get them off to a quick start. The seeds in my Gourmet Herb kit all made an appearance within the first week although some were quicker into growth than others. These are available for 3 pod, 6 pod, 7 pod and Harvest Aerogardens. 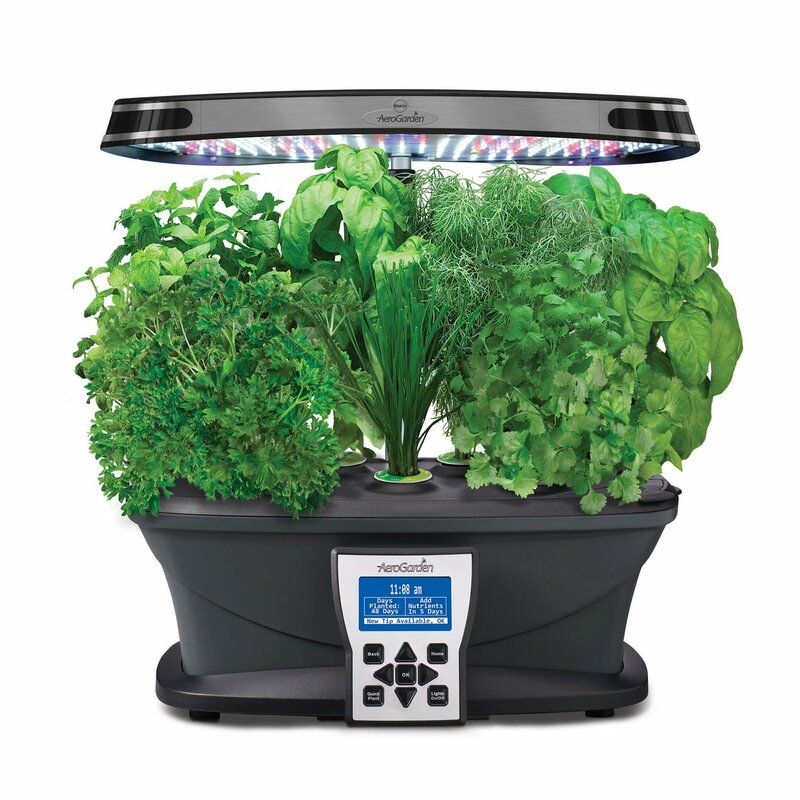 The cells range from 15 to 50, depending on the model of Aerogarden you have. So - 3 pod - 15, Harvest - 31, 6 pod - 36 and 7 pod - 50. That's quite a good lot of seeds when you consider that most stuff comes through rapidly. They come with the grow sponges and nutrient, plus an instruction leaflet. 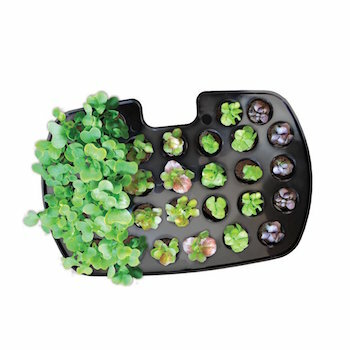 You supply your own seeds and the idea is to start them off quickly under the growlight then transplant after the usual hardening off to their final position.